According to the National Sleep Foundation’s 2005 Sleep in America poll, 60% of adult drivers – about 168 million people – say they have driven a vehicle while feeling drowsy in the past year, and more than one-third, (37% or 103 million people), have actually fallen asleep at the wheel! The National Highway Traffic Safety Administration conservatively estimates that 100,000 police-reported crashes are the direct result of driver fatigue each year. This results in an estimated 1,550 deaths, 71,000 injuries, and $12.5 billion in monetary losses. 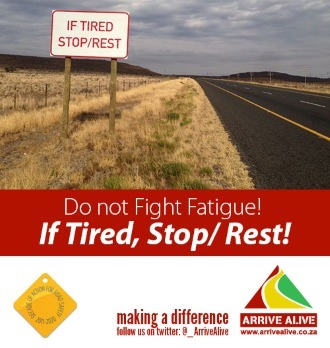 Around 20% of fatal road accidents involve driver fatigue. According to VicRoads Road Accident Facts Victoria, 1998 Edition, about 30% of severe single vehicle crashes in rural areas involve the driver being fatigued. • a person who has been awake for 17 hours faces the same risk of a crash as a person who has a BAC reading of 0.05 g/100ml. They are therefore twice as likely to have an accident as a person with a zero blood alcohol content who is not fatigued. 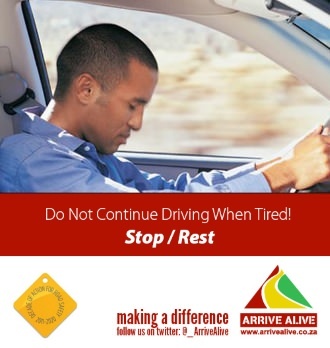 • Drivers who have been awake for 24 hours will have a driving performance similar to a person who has a BAC of 0.1 g/100ml. They are seven times more likely to have an accident. The U.S. National Highway Traffic Safety Administration (NHTSA) estimates that approximately 100,000 police-reported crashes annually (about 1.5% of all crashes) involve drowsiness/fatigue as a principal causal factor. A conservative estimate of related fatalities is 1,500 annually or 4% of all traffic crash fatalities. At least 71,000 people are injured in fall-asleep crashes each year. NHTSA estimates these crashes represent $12.5 billion in monetary losses each year. 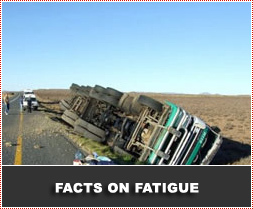 Drowsiness/fatigue may play a role in crashes attributed to other causes. About one million crashes annually — one-sixth of all crashes — are thought to be produced by driver inattention/lapses. Sleep deprivation and fatigue make such lapses of attention more likely to occur. In a 1999 NSF poll, 62% of all adults surveyed reported driving a car or other vehicle while feeling drowsy in the prior year. Twenty-seven percent reported that they had, at some time, dozed off while driving. Twenty-three percent of adults stated that they know someone who experienced a fall-asleep crash within the past year. In a 1996 postal survey of 9,000 male drivers in Britain, in which 51% responded (4,600), the drivers attributed 7% of their crashes in the previous three years to tiredness (sleepiness and/or fatigue). At the 1995 National Truck Safety Summit driver fatigue was designated the number one priority for truck safety. People tend to fall asleep more on high-speed, long, boring, rural highways. New York police estimate that 30% of all fatal crashes along the New York Thruway occurred because the driver fell asleep at the wheel.